Gordon lives in the Queen Anne neighborhood. His short-lived 2007 blog on airline operations at Seatac is integrated with the STB archives. He was also a contributor in mid-2010. Sound Transit will be performing track maintenance near the Columbia City station from 10pm – 1am on July 26th through July 30th. Link trains will operate every 25-30 minutes during this period. Columbia City — Southbound platform will be closed on Thursday from 10 p.m. – 1 a.m.
Columbia City — Northbound platform will be closed on Friday from 10 p.m. – 1 a.m. Please board all trains at the other platform during the times indicated. 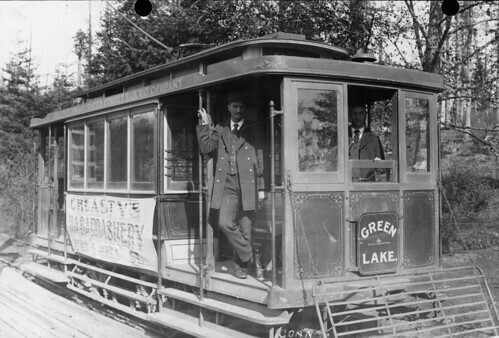 The Fremont Historical Society will be holding a historical walking tour of the Fremont area’s streetcar history on Thursday, July 22nd from 7PM to 8:30PM beginning in front of the old Car Barn on 34th and Phinney Ave. N. The Fremont Historical Society will also have a number of historic photographs on display for your viewing pleasure. What’s Next for the Tacoma Streetcar?? How much rail can $80 million buy? What’s the difference between streetcars and light rail? What are the benefits of rail? For the event’s location and directions, Click Here. Officials from Sound Transit, the City of Tacoma, and the Transportation Choices Coalition are holding a public forum on Friday, July 23rd to discuss the future of Tacoma Link, expansion plans for Tacoma Link, and streetcars in general. Various officials will be present to answer any and all questions. the line now becomes single-tracked (around 2nd Ave and turns left to a terminal on 2nd Ave and King Street … forgoing the Pioneer Square portion of the route. in the middle of Jackson St. The Seattle Streetcar has posted visualizations for the Jackson Street portion of the route. Sound Transit and the City of Seattle will be holding an open house at Seattle’s Hong Kong Building at the Summer Festival on Saturday, July 10th to discuss recent developments and the next steps involved with constructing the First Hill Streetcar line connecting the Capitol Hill and International District LINK Light Rail stations. The Seattle City Council has approved the First Hill Streetcar with a segment along Jackson St. through the Chinatown/International District neighborhood. The latest visualizations for the Jackson St. portion of the route will be on display at the open house for viewing and commenting by the public. City representatives will be on hand to answer any questions regarding this portion of the route as well as the line in general. Sound Transit is reporting that their nighttime rail grinding project in Tukwila has been extended through tonight (01JUL). From 10PM to 1AM Link will operate every 20-25 minutes instead of the normal 10-15 minutes. Additional signage will be posted directing passengers at affected stations if any station platforms are closed due to this work. Starting on Monday, June 28 and lasting until Wednesday, June 30, from 10 p.m. – 1 a.m. each night, Central Link light rail will operate every 20-25 minutes instead of every 10-15 minutes due to track maintenance. The work will also temporarily close one platform at Columbia City Station Monday night from 10 p.m. – 1 a.m. Riders boarding at Columbia City may be directed to the opposite platform. “This will improve our overall construction schedule,” Endlich said. “We believe it will also have a lower net cost to taxpayers under this approach.”… According to a flier from the meeting, the proposal is expected to save $5 million to $10 million. Sound Transit and the City of Seattle will be holding an open house at Seattle’s First Baptist Church on Saturday, June 26th to discuss recent developments and the next steps involved with constructing the First Hill Streetcar line connecting the Capitol Hill and International District LINK Light Rail stations. The Seattle City Council has approved the route for the Capitol Hill and First Hill segments and will have new design concepts for Broadway available for viewing as well as guests involved with the project who will be available to answer questions. In addition, Sound Transit and the City of Seattle will have an information booth set up at the Capitol Hill Pride Festival on Saturday, June 26th. Booth #69 located at the intersection of Broadway at John St.
Update 1:20PM: I spoke with the folks at the Seattle Streetcar re: wonky station names and they replied that they have been monitoring the station name discussion on this blog. When they get to the point where the station locations are fixed, they will try to make the station names as obvious as possible to help guide people and avoid confusion. Furthermore they are open to suggestions. [UPDATE 6/21/10: It has come to our attention that the content of the original post here is substantially plagiarized from Fred Frailey’s article in Trains magazine. We take this kind of incident seriously. For obvious reasons, we’ve deleted the text so that you now have to go to the origin to read the content. 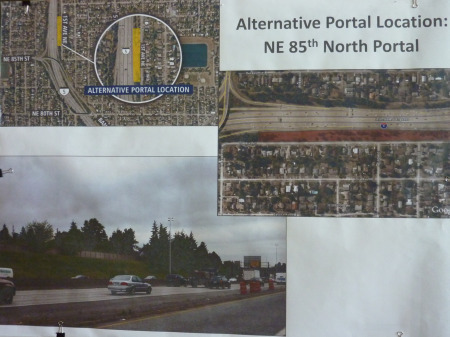 Sound Transit is hosting a meeting to kick off final design of the North Link light rail project. North Link is a 4.3-mile extension to the regional light rail system with stations at Brooklyn (University District), Roosevelt and Northgate. 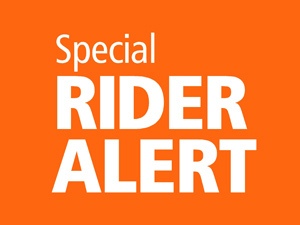 Please join us from 5:30 – 8:30 p.m., with a presentation beginning at 6:30 p.m.
To request accommodations for persons with disabilities, call 1-800-201-4900 / TTY Relay: 711 or e-mail accessibility@soundtransit.org. Central Link light rail will not operate between Westlake and SODO stations all day Saturday and Sunday, June 12-13, due to Safety System testing in the Downtown Seattle Transit Tunnel as well as modifications to the OCS wires at Stadium Station. Beginning Saturday, Community Transit implements a broad package of service cuts including frequency reductions and the complete cessation of Sunday and Holiday service in order to help save $16 million over the next two years. Between 2008-2013, Community Transit estimates it will have lost as much as $180 million in anticipated sales tax revenues due to the recession. Aside from the service cuts, the agency raised local bus fares on June 1 to help bring in additional revenue. Bus riders are being advised to make their own transportation plans for Sundays, or call the North Sound 2-1-1 social services hotline for assistance. Everett Transit, King County Metro Transit and Sound Transit will continue to operate on Sundays. The Metro Employees Historic Vehicle Association (MEHVA) is a volunteer organization within Metro that is responsible for Metro Transit’s historic fleet of Trolleybuses and Motorcoaches. 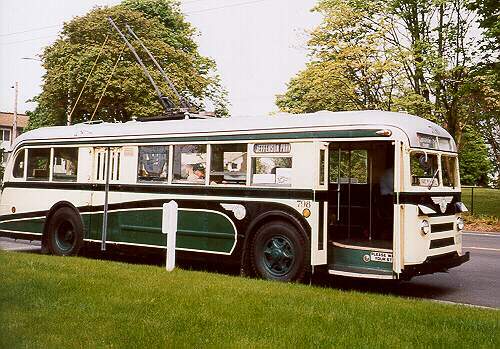 MEHVA will be operating a Seattle Trolleybus tour on Sunday, June 13th at 11AM. With the future of our Electric Trolley Bus (ETB) system in doubt, this may be one of the last times that one may enjoy riding in Metro’s Historic ETB fleet. What: Enjoy an unhurried 4-hour tour of city’s unique trolley bus system. Our restored trackless trolley buses will take you from Seattle’s hectic downtown to several fine old neighborhoods throughout the city. Tour stops for photos and lunch. 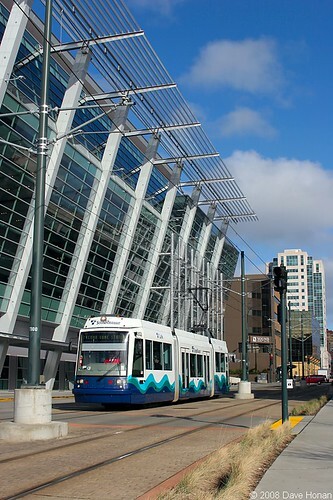 Trackless trolleys depart at 11 a.m.
Central Link light rail will not operate between Westlake and SODO stations all day Saturday and Sunday, June 12-13, due to engineering work in the Downtown Seattle Transit Tunnel. According to Bruce Gray at Sound Transit, Metro/Sound Transit are updating the fire/life/safety system software and running it through comprehensive testing as requested by Seattle Fire Department. SoundTransit is also raising the OCS wires by about a foot from Stadium to Royal Brougham. They were lowered during the WSDOT work on their new ramp. Sound Transit will run a free bus shuttle between SODO Station and Westlake all weekend. The shuttle will run every 5-7 minutes during normal Link hours. Additionally, all King County Metro and ST Express buses that normally operate in the tunnel will also be rerouted to surface streets. Link light rail will operate every 10 minutes between SeaTac/Airport and SODO stations on Saturday, June 12 from 5 a.m. to 1 a.m. and every 10 minutes on Sunday, June 13, from 6 a.m. to midnight. Tuesday, June 8, 5:00-6:30 p.m. Please join us for our first county-wide open data workshop. Though we’ve released data in machine readable formats for years, we are now working on a project to centralize and expand that work. Before we get too far into the project though, we want to talk with interested developers. What data do you want to work with? How do you want to partner with King County? Questions? Email or call Sabra Schneider at (206) 263-7972. Or if it’s a short one, ask us on twitter. Note: while this meeting will not focus on Transit Data, King County will be including Transit Data in the workshop and they are interested in hearing from people interested in Transit Data. From June 14th through September 10th, SDOT will be replacing the old wooden viaduct structure on NE 45th st. This is the segment of NE 45th that connects UW with University Village / Montlake Avenue. In preparation for the closure, SDOT has released a handy bike, bus & walk map illustrating the temporary re-routes for buses, bicyclists, and pedestrians. KUOW, our local NPR radio station, is conducting an informal poll in order to gather information on people’s perception of Sound Transit’s new light rail system. 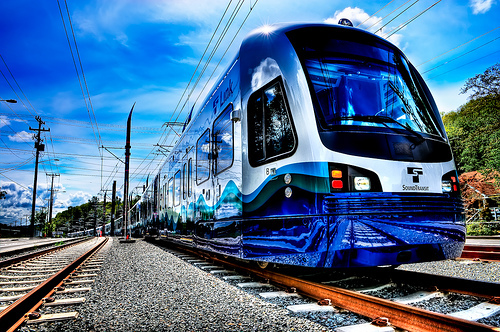 Light rail has been a reality in Seattle for a half-year now. Does the light-rail line live up to its promise? What effect is it having on the communities it passes through? Go here and make your voice heard. Air France today announced it’ll begin codesharing on Alaska Airlines’ flights out of Seattle to 18 cities starting 05JAN08. Flight numbers and bookings will be available starting 15DEC07.